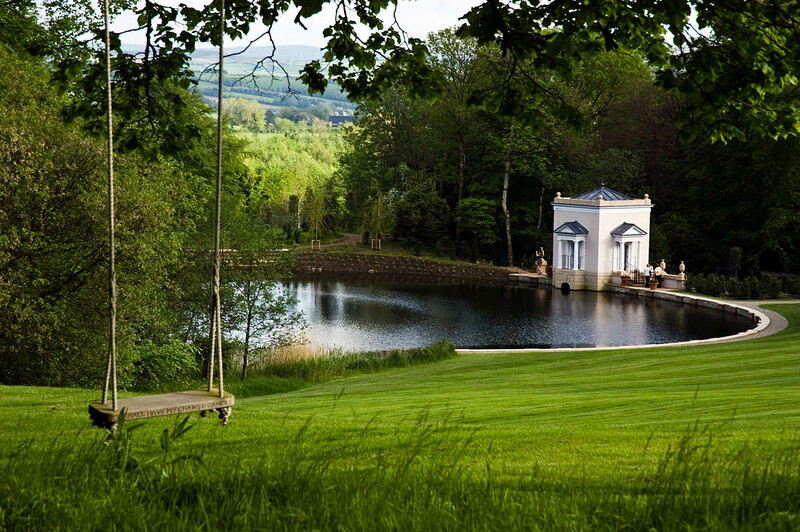 A beautiful scene of the folly next to the lake, with a garden swing in the foreground. With over 100 acres of parkland and woodland, Oakfield Park consists of formal walled gardens, flower meadows, lakes, ponds and decorative garden buildings called "follies". At the centre of the park sits a restored 18th Georgian Estate House and a 4.5km narrow gauge railway with steam train and passenger carriages.